Go to Venues for map and more details. Level 2 - for people who have completed Level 1 or equivalent, or want to review fundamentals. For complete beginners it is possible to enter Level 1 in first 2 weeks only. Joining from the 3rd week on is possible if you take one (or several) catch-up private lesson/s. We make it flexible! Courses are designed for venues to be interchangeable with same content on Mondays in North Sydney and Wednesdays in Glebe - so if you can't always attend on Tuesdays you can alternate venues. You can also repeat classes at these other venues for extra practice (only $10 for extra classes). We make it easy! Included in your course package are study notes and video lesson reviews (exclusive to SoTango) of all moves and concepts covered. These are an amazing study tool for remembering what you learnt and practicing between classes! 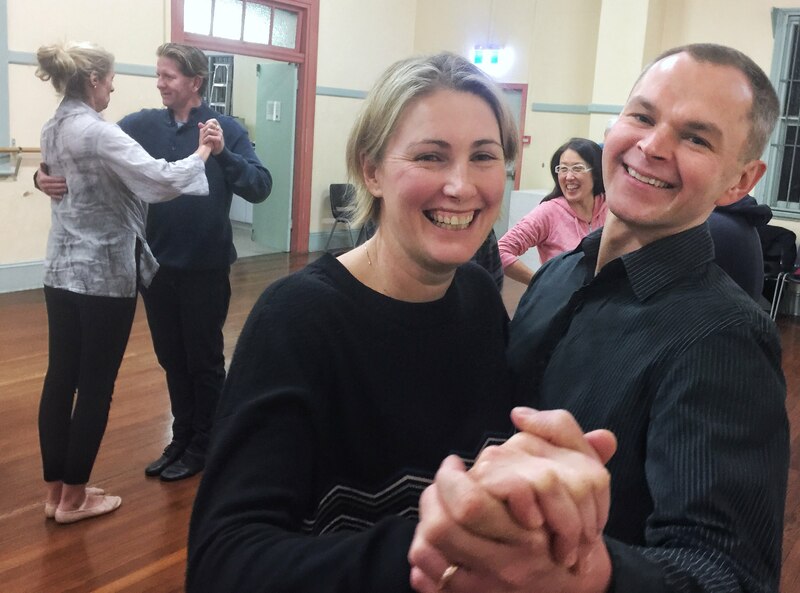 'Integrate- Initiate' workshop - Integrating all that you have learnt and initiating you to the codes and etiquette of social tango dancing. Practilonga - A tango dance party for people who are new to dancing tango socially. A great opportunity to dance with and connect with students from other venues. Click on link over celebration dates below for more details.